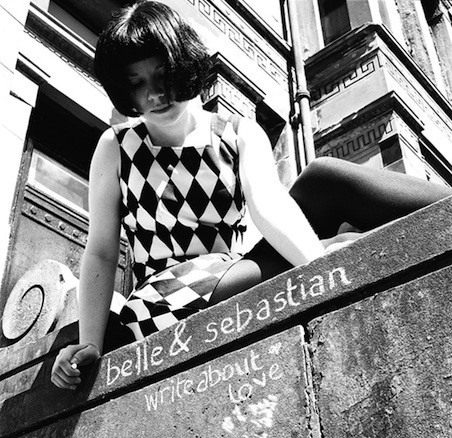 We Hear: Belle & Sebastian Write About Love. | Pulp and Circumstance, Juiced. We Hear: Belle & Sebastian Write About Love. Beloved Belle & Sebastian are revealing the cover art for their latest record, Belle & Sebastian Write About Love, which has yet to be given a release date. It’s hard to believe this will be the band’s first LP in 4 years–the last was 2006’s Life Pursuit, a record humble blogger just about kicked and killed with too many listens. To whet your appetite, however, you can nod over here and check out a new tune they played live in Helsinki, called “I Didn’t See it Coming”. This entry was posted in jwolf, We hear... and tagged belle and sebastian. Bookmark the permalink. ← Delicious Drip: Nerve Salad.